Can you guess what I did today??? 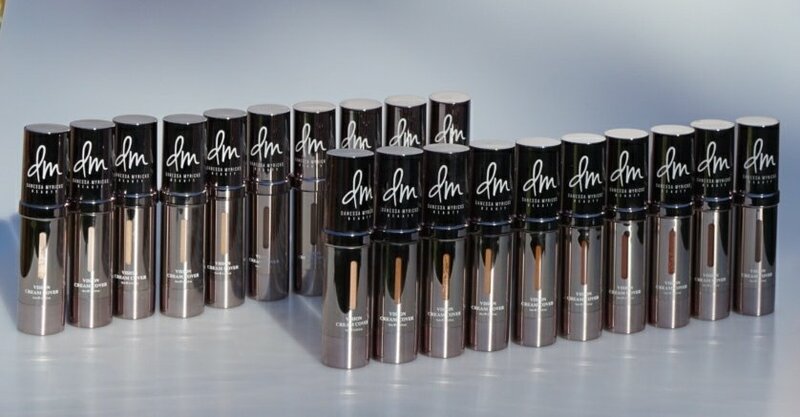 If you said “swatched the entire Danessa Myricks foundation line’ then you’d be absolutely correct! Danessa Myricks is a well known celebrity makeup artist, photographer and educator. I’m familiar with her work but I’ve never tried her makeup with the exception of one pigment that I bought forever ago. Needless to say Em and I were super excited and surprised to receive a generous package with a selection of a their products including their foundation line. 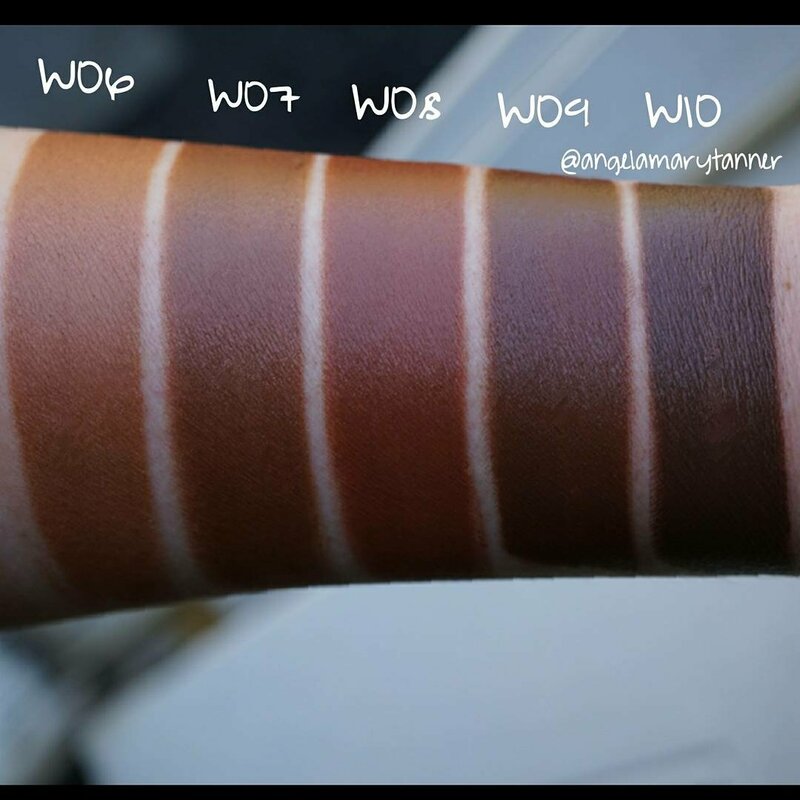 The Danessa Myricks ‘Vision Cream Cover‘ is available in the 20 shades shown and 6 transforming shades that we’ll discuss next. 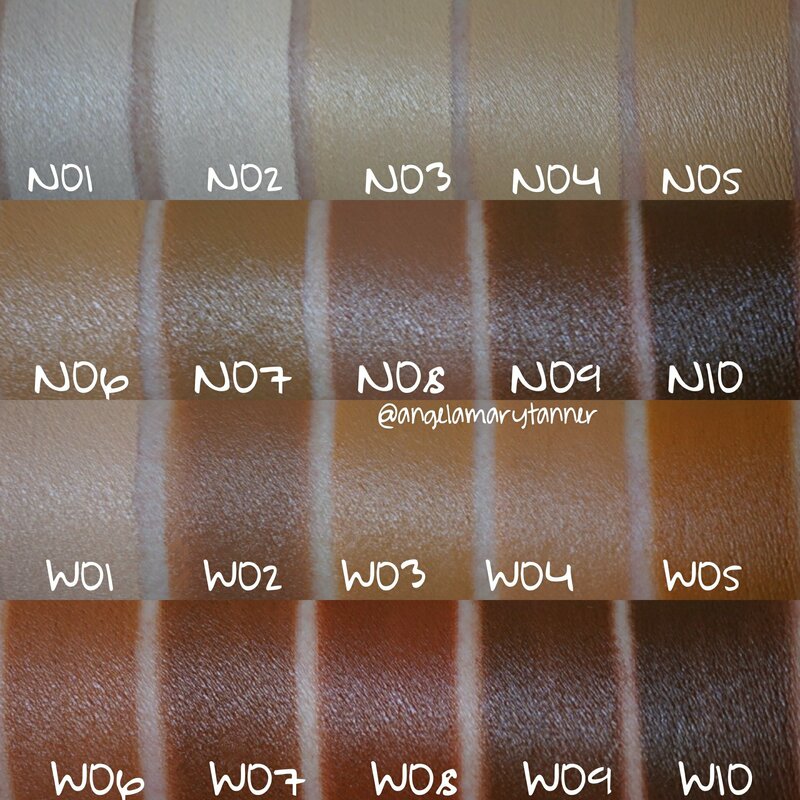 As you can see here, there’s 2 categories (warm and neutral) each with 10 shades. 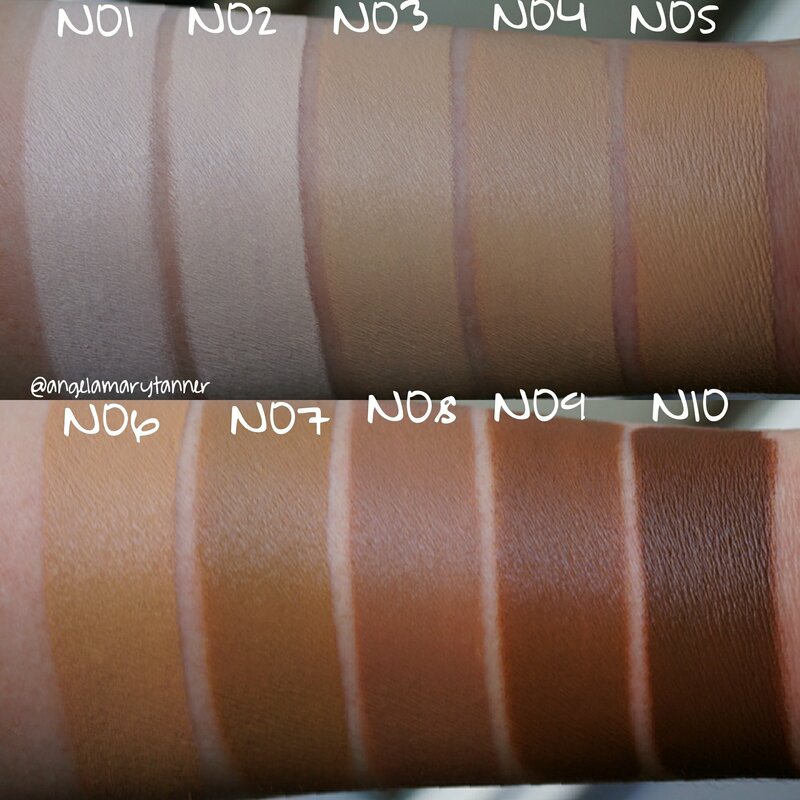 The shades range from very fair to very deep with all of the stops in between. It’s $28 for .53oz. 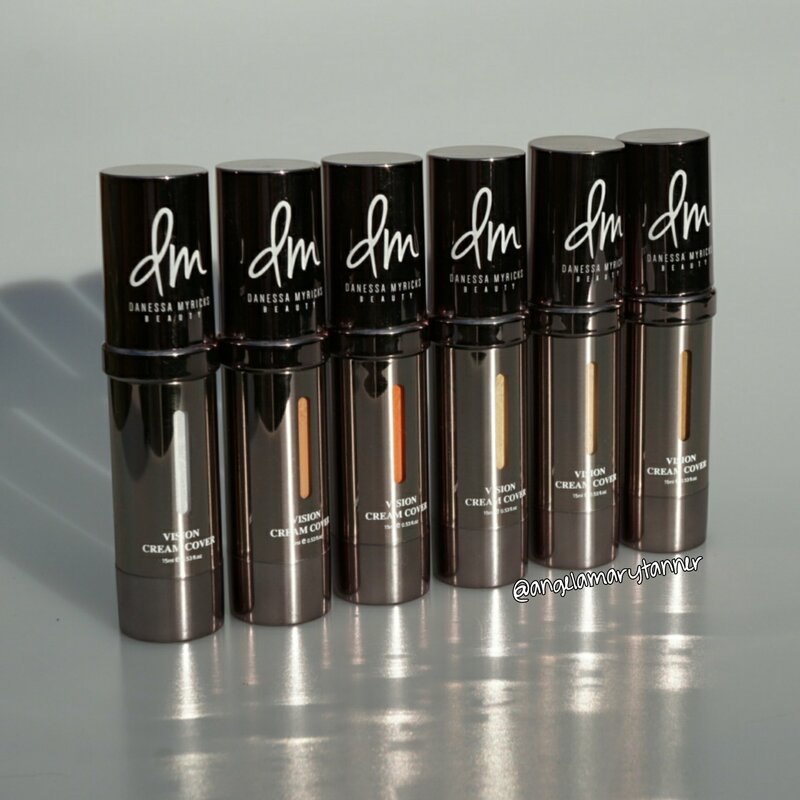 A standard bottle of foundation is usually 1 oz but since this product is so concentrated, I think it will last as long (if not longer) than a 1 oz bottle of a regular foundation. If you want to try this foundation before committing to an entire bottle, Camera Ready Cosmetics sells sample sizes for $4.99. Just an fyi the pumps in these bottles don’t have straws (I think they work through a vacuum seal or something). Most of them were fine but two or three weren’t working. I had to unscrew the tops and manually push up the pumps from underneath and then they were good to go. It’s a highly concentrated liquid foundation that performs more like a cream. 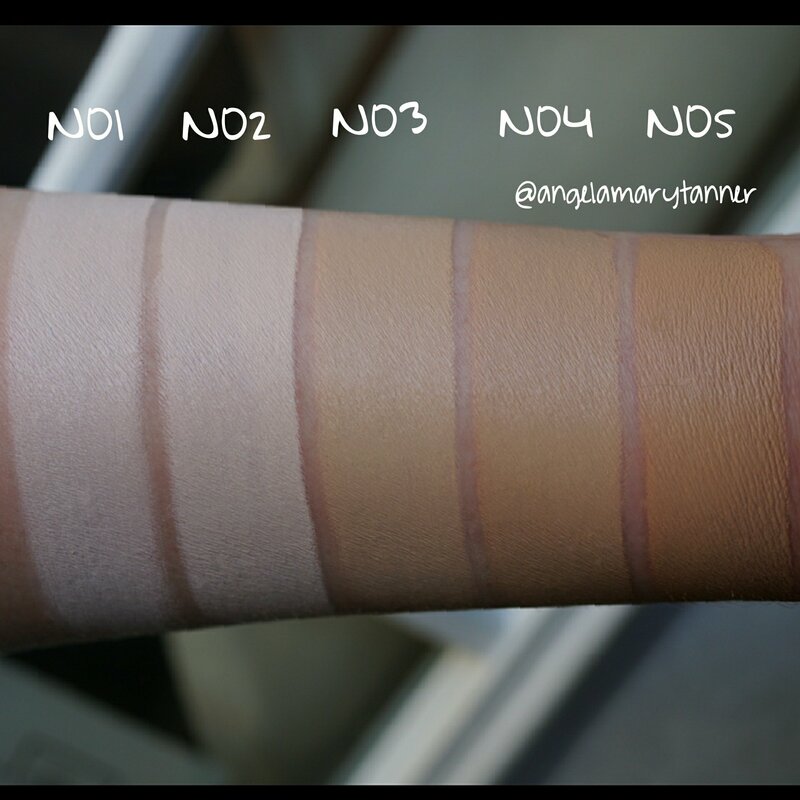 It has a natural finish that’s not matte but also not dewy. It just looks like your skin (but better). It’s extremely full coverage without being cakey. It blends easily and a little bit goes a REALLY long way. 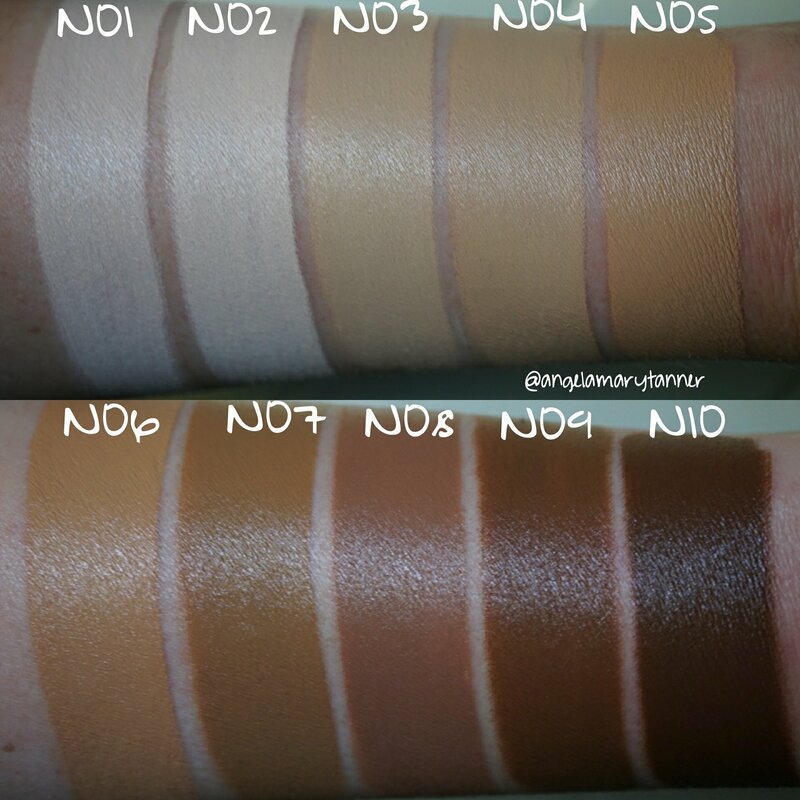 I used the tiniest drop imaginable for these swatches and it was still too much. This is probably the most long wearing foundation that I’ve ever used. The other day I put it on in the morning and had a full day of running around. After dinner I laid down on the couch and vegged for a few hours. When it was time to wash my face before bed, my foundation was still perfect. I swear to the makeup gods! I’ve never seen anything like it. Normally half my face would be all over my pillow or at least my nose would be red from sneezing (I have allergies but I refuse to medicate). But not with this magic potion! My skin was still looking flawless. 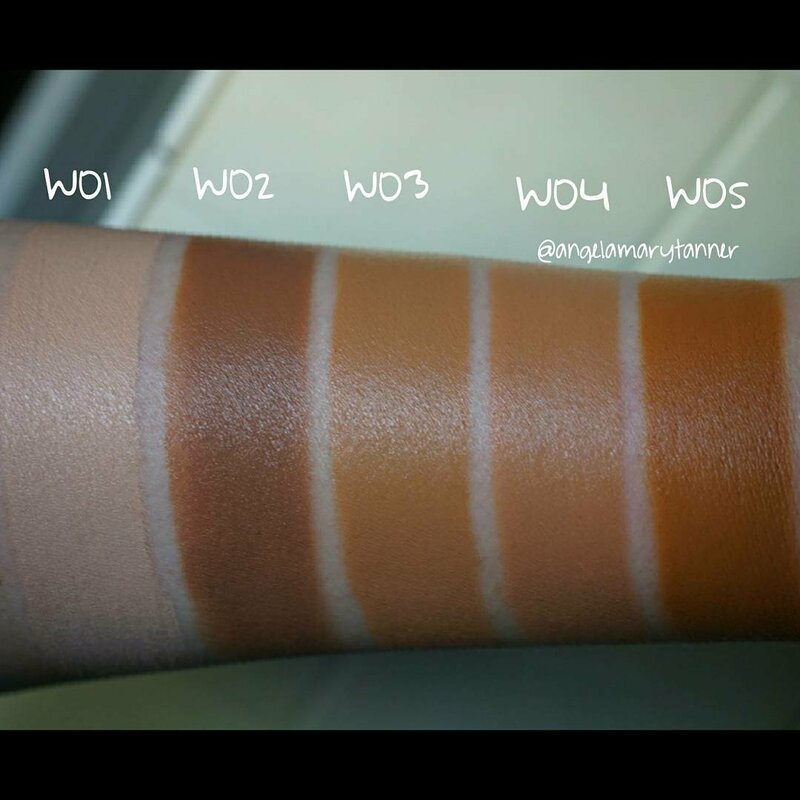 My color is W1 (which you can probably tell since the swatch blends into my skin) and I’ve been using W2 for contour and one of the color correcting shades for my undereye and a subtle highlight. 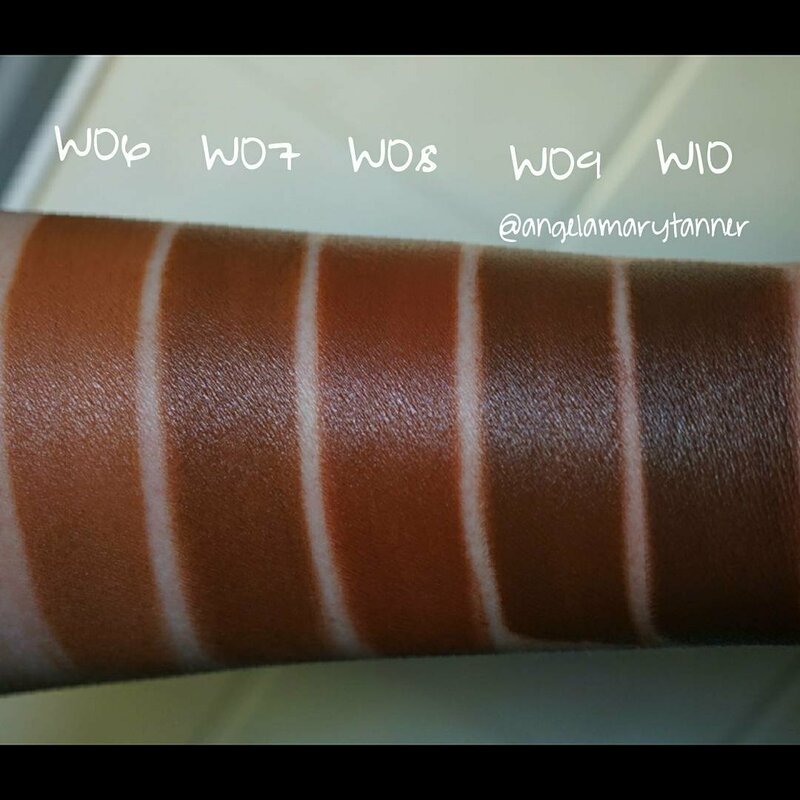 While there’s plenty of shades for fair skin, DM has an amazing range for POC. I mean look at all of those gorgeous red, golden and sienna undertones. 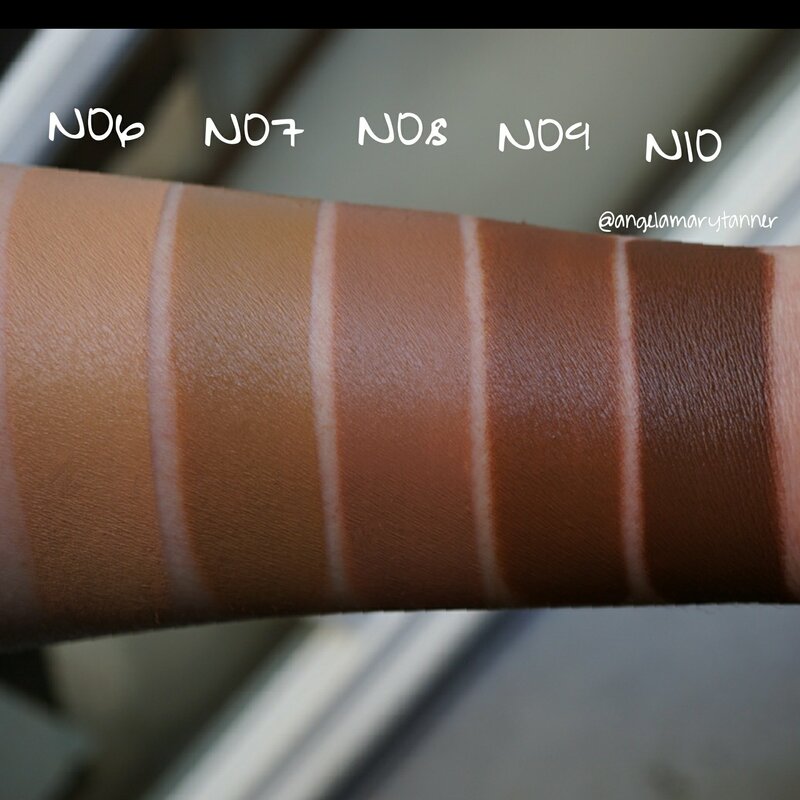 As a woman of color and a makeup artist, Danessa has used her experience to create a line with the perfect shade for everyone. 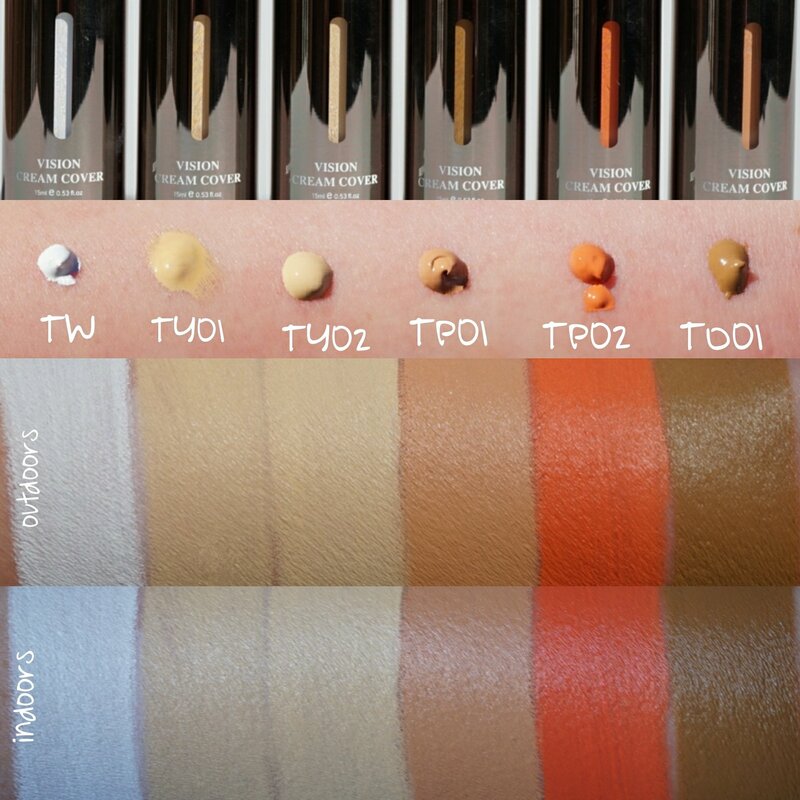 These are designed to be mixed with foundation to create a customized shade while color correcting. Color correcting relies on color theory to correct discoloration. This line focuses on peach and yellow which both counteract darkness while brightening the complexion. 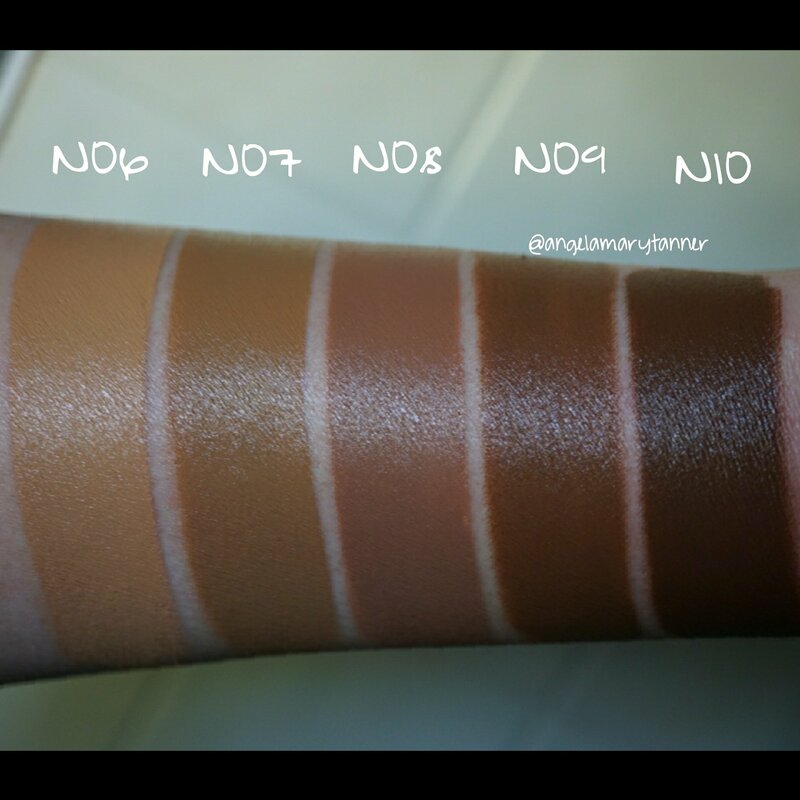 There’s an 01 for lighter skin and 02 for the deeper range. 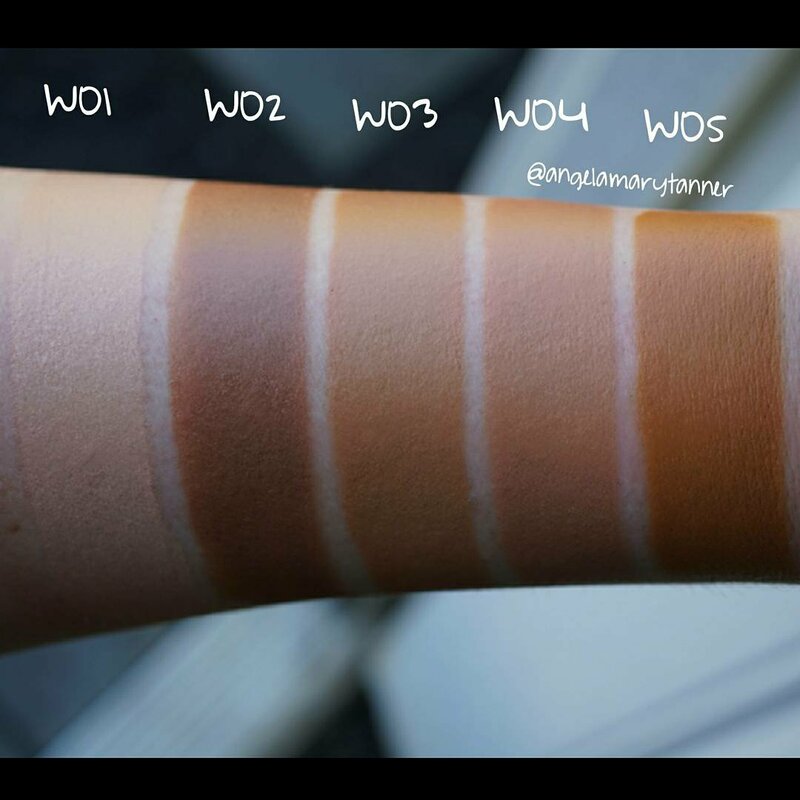 In addition to those four, there’s also a pure white that can be used for lightening any foundation and an olive shade that will perform similarly to a green color corrector by neutralizing redness. I swear by color correcting. Imo it’s the quickest to fix problem areas while also allowing you to use less concealer and foundation. However it can be tricky to make a traditional color corrector to appear natural. 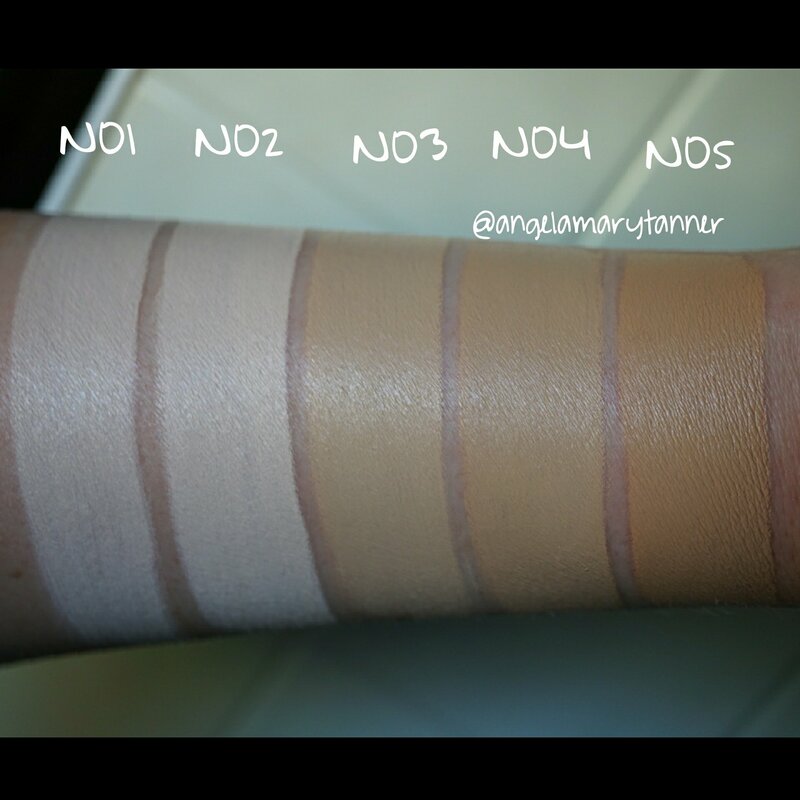 So I love the idea of adding a drop of one of these correctors to your foundation. Have any of you used one of these additives?? I would LOVE to hear a second opinion on them, especially since I’ve only beena able to experiment with them on myself so far. 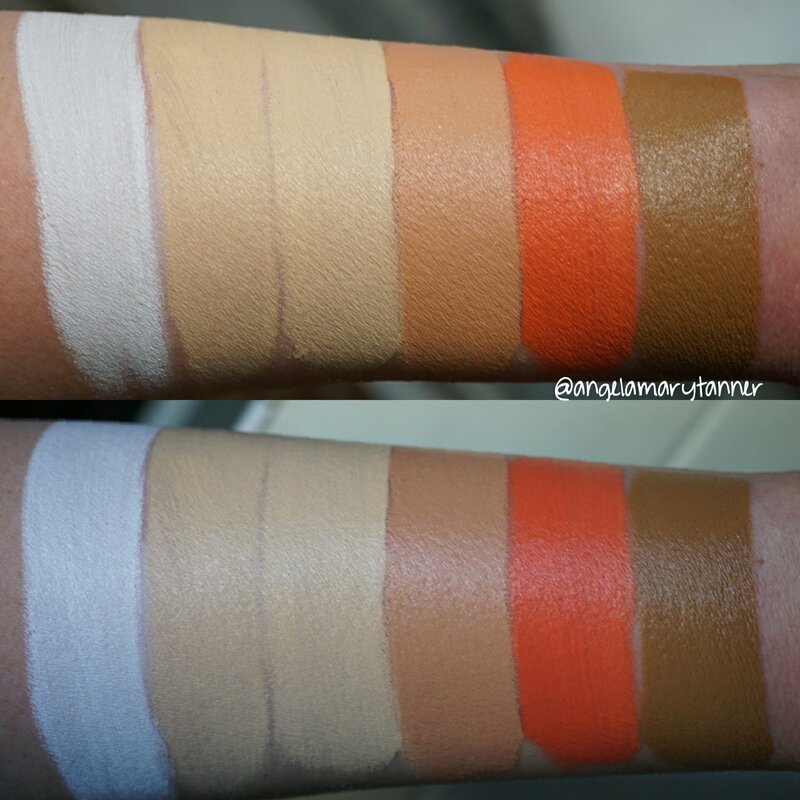 Also I realize that it’s not especially helpful to see the deep tones swatched on my pasty white arm. 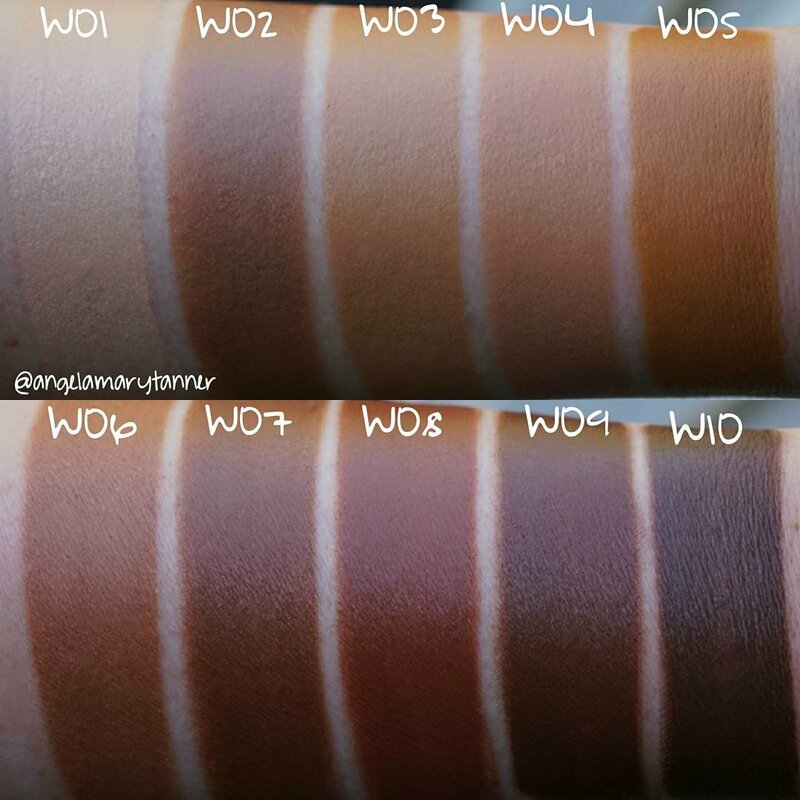 Since I don’t have any real life friends willing to let me paint their arms for a few hours, I’m going to send the darker shades to one of my online friends to swatch. 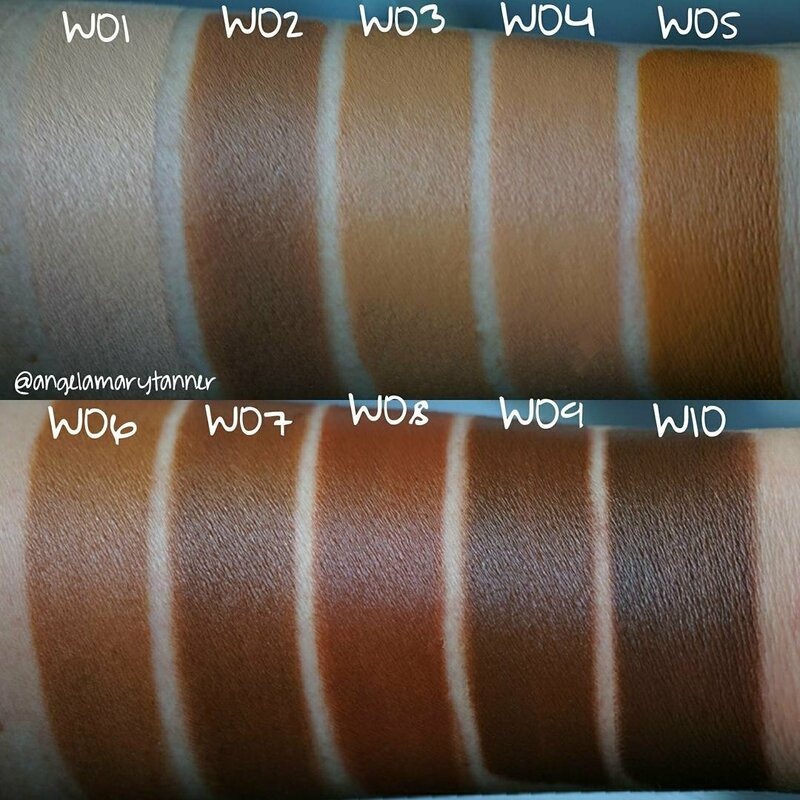 I’ll update this post with POC swatches in a few weeks! Am I imagining things or is TY02 actually lighter than TY01? Yeah it is. They’re very similar but 02 is more white and 01 is more yellow. I had to keep checking the labels. Not sure if I got a dud or what. 01’s formula was a little more thin than the others. Interesting, thanks. This formula sounds really good, I think I might have to order some samples from Camera Ready Cosmetics.